Supplementing the live Blur CD given away with last week's Sunday Times, this week's offer is for an extra five songs. Along with your paper and its supplements this Sunday will be an iTunes code allowing you to download the extra five songs: Coffee & TV, Advert, For Tomorrow, There's No Other Way and End of a Century.  Once you have your card and code, click on the "Blur Download" button below (or in the sidebar to the right) to enter the code and gain access to the songs (requires iTunes account). Blur were this week the first recipients of the PRS' 'Music Heritage Award', with a plaque put up in their honour at the place of their first ever gig in 1989 at the Goods Shed in Colchester. Check-out the "Plaque Life" [don't blame me for that one! - Ed] article to the right for the full low-down.